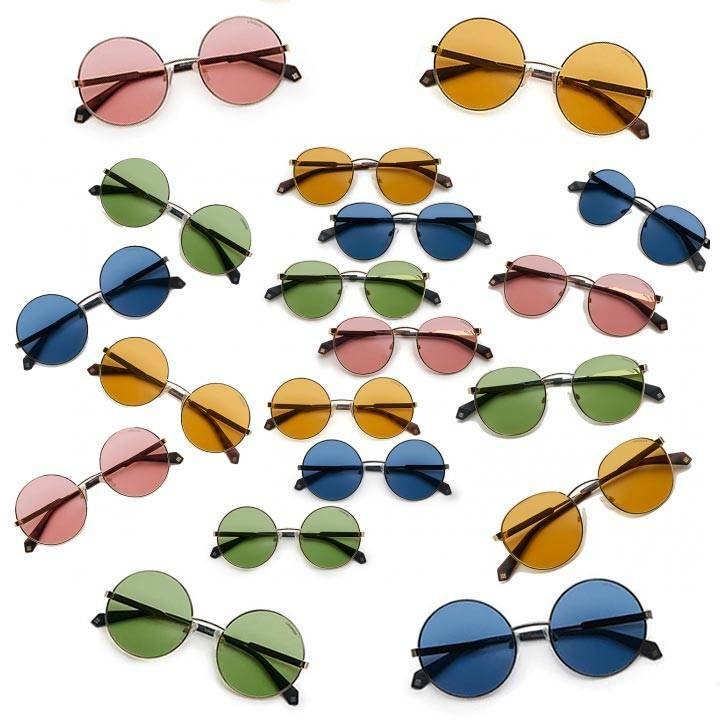 The recent sunglass trend (well, trend that has come back) is pastel-colored lens sunglasses, most appropriate for mid seasons, when you are either waiting for the hot sun to show up (you are getting there!!!) or when you prepare yourself for the cold weather, depending on the hemisphere you leave in. Of course we are all aware that sunglasses are vital to our eyes and for their protection and safeguard, but we also know that they have become a trend, almost an unspoken contest of who has the best and who is the most fashionable of all, without even asking the magic mirror! What we love about this trend is that the lenses are YES protective but light enough so that when you are having a bad day or if you didn’t have time to do your makeup, you can just keep them on, outdoors and inside too. Oliver Peoples has dedicated an entire collection to pastel lenses: The oversize and rounded pilot ROCKMORE OV 1218S, or the tiny vintage, round M-4 30TH OV 1220S, to mention two of them. 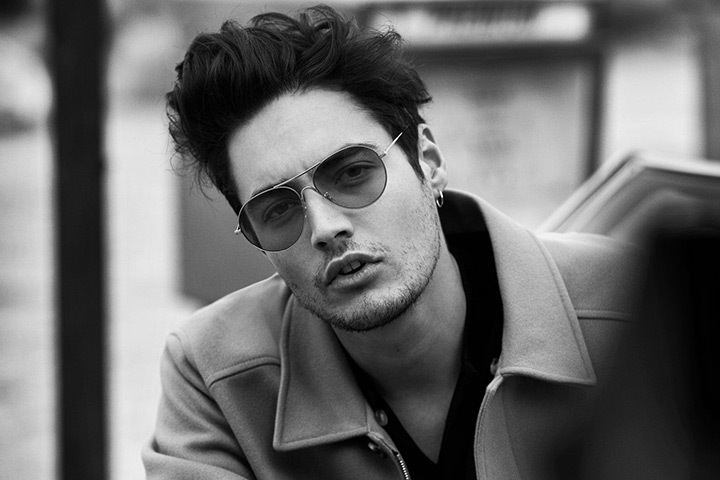 Ray-Ban as well proposes the evolve lenses, pastel and pale-coloured on its two most iconic shapes: AVIATOR LARGE METAL RB 3025 EVOLVE LENSES and on its bestseller ROUND METAL RB 3447 EVOLVE LENSES, both with a common secret message… to always EVOLVE! 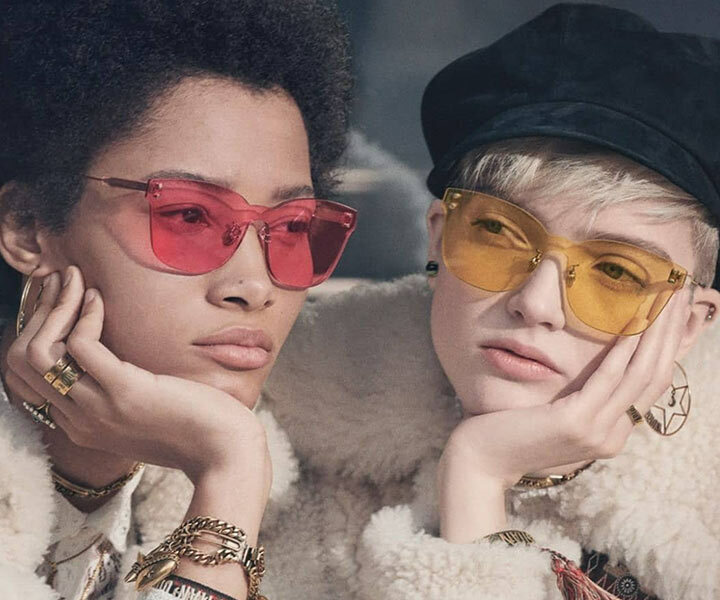 Dior has been a fount of inspiration for some time now, first with the evergreen Dior So Real Pop, and then it also led us into the mood with its two latest models which have dominated the season: DIORCLUB2 and DIORCLUB3, both pilot-shaped and extremely trendy. For the next season, here is a preview of what you should be expecting.. or should we say fear about: the Dior COLOURQUAKE collection! 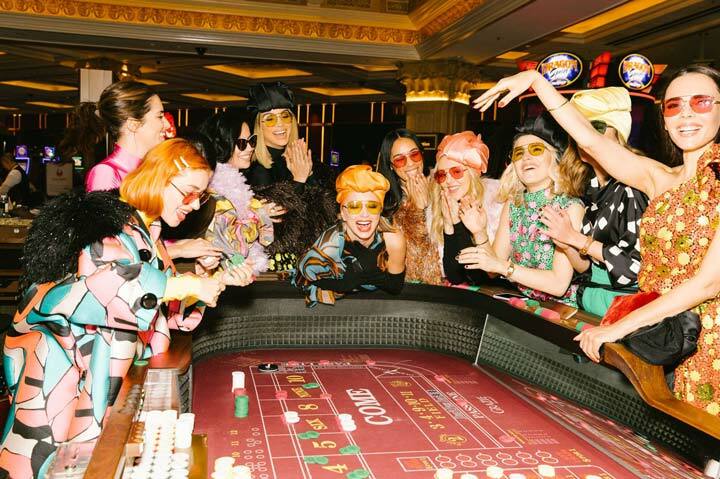 Marc Jacobs went back in time and into a crazy, effervescent, fantastical, utopian escape "somewhere" beyond our reality… pass-code: the Oversize, vibrant MARC 271/S. Then the king of vintage, Gucci and its transparent collection made of the oversize, square GG0352S, the soft, round GG0353S and the fluffy pilot GG0354S. Of course style does not have a price… not a specific one at all. 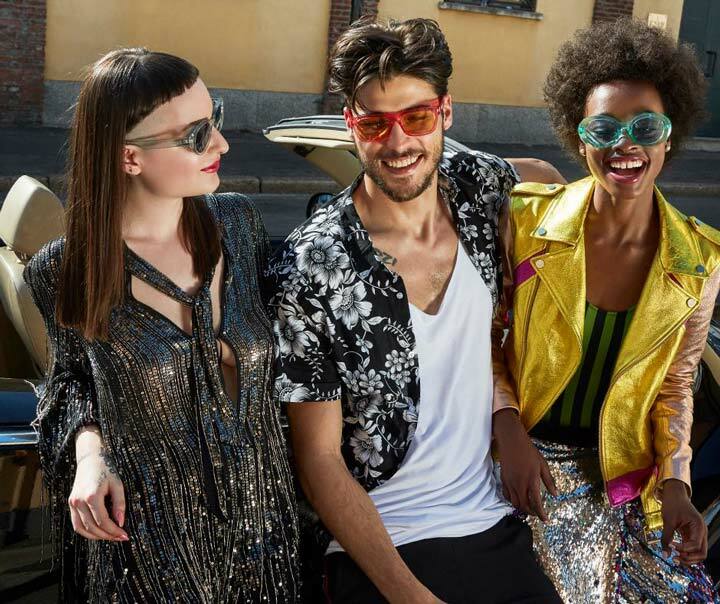 And Polaroid, offering extremely affordable prices on best-seller shapes with polarized lenses, has also adopted the same trend proposing its idea of vintage, pastel-lens shapes: the square PLD 6050/S, the cat-eye PLD 6051/G/S and the oval PLD 6052/S, all super young, sparkling and jelly-type! Whatever you may choose, do it with style! Wear them as your favorite everyday glasses or pop them out whenever you need an extra dose of cool, or hide those tiny imperfections with mystery! Here is a full list of all the shapes for your cocktail parties!